With two new product launches, Freedesk AB (“Freedesk”) is now broadening its range of products to further contribute to an active, productive and healthy everyday life. With Freedesk Personal Space and Freedesk Lap Top Stand, the potential for focused work with good ergonomics is enhanced in office environments and schools, among other places. With the launch of Freedesk Personal Space and Freedesk Lap Top Stand, Freedesk is expanding its product range for the purpose of encouraging increased sales at existing retail outlets and also to attract new retail outlets to carry its products. The products were recently unveiled at the Stockholm Furniture & Light Fair, where Freedesk received an initial order from a distributor in Finland for its height adjustable working surface (HAW), Freedesk Desk Riser. – With the launch of Freedesk Personal Space and the Freedesk Lap Top Stand, we now complement our range of products for active and productive living and contribute to a healthier lifestyle. We will continue to develop solutions that are more user-friendly, flexible and cost-effective in relation to what the rest of the market offers, comments Stefan Westergård, CEO of Freedesk AB. Freedesk Personal Space has been developed to respond to high noise levels and recurring distractions in classrooms and office environments with an open-office floorplan. The product is a portable solution with a sound dampening material, which enables the user to have the possibility of screening off sound and distractions, thus being better able to focus on their work. Freedesk Personal Space is a practical and physically attractive solution that also offers the opportunity for the storage of school or work related materials, while at the same time it is easy to fold up and carry to another location. Freedesk Lap Top Stand provides a more ergonomic working position when working with a laptop or similar computer. With an innovative height tray, optimal ergonomic design for the user is created. Freedesk Lap Top Stand can be used as an accessory to the Freedesk Desk Riser or as a standalone solution, and is easily stored under the user’s Freedesk Desk Riser with the use of magnets. Freedesk Personal Space and Freedesk Lap Top Stand hold industrial design protection rights and a patent application relating to Freedesk Lap Top Stand was submitted in February 2017. If the patent is granted, Freedesk will have IP protection through 2037. Stockholm Furniture & Light Fair is the world’s largest meeting place for Scandinavian design, where more than 700 companies gathered. Buyers, designers, architects and journalists from more than 60 countries participated in this year’s trade fair. During the trade fair, Freedesk established new contacts with resellers, distributors and customers worldwide. Via its participation in the trade fair, the company expanded its international network and sales channels. During the trade fair, Freedesk received an initial order from a distributor in Finland for its Freedesk Desk Riser, which has already been delivered. The order is of minor financial value but has a significant strategic importance as the basis for establishing a mutually profitable cooperative relationship. – We will increase our trade fair presence in 2017 with a focus on new business opportunities and global expansion. The head of one of the UK’s leading education sector suppliers has said that a growing number of ‘shabby schools’ across the UK are not only failing pupils but are contributing to the lack of new entrants to the teaching profession, when linked to new schools spending data revealed by the company. 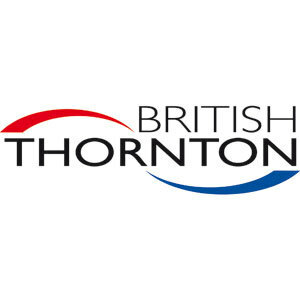 New research by British Thornton, the UK’s largest educational furniture manufacturer, has shown that cuts to funding in the sector have led to significant reductions in investment in learning environments, to the detriment of both students and teachers alike. The independent data, which surveyed 198 schools across the UK on their spending intention during the current academic year, has revealed that overall spending on educational furniture will reduce by £3.3m in 2016/17 in a market that is usually worth £200m annually. The data also reveals that fewer schools than last year are likely to be in a position to utilise funds from their devolved capital formula (DFC) allocation for the purpose of furniture procurement. In February 2017, 81 per cent of primaries and 94 per cent* of secondaries said they did not have enough funding to upgrade their furniture, an increase of four and 10 per cent respectively compared to January 2016. 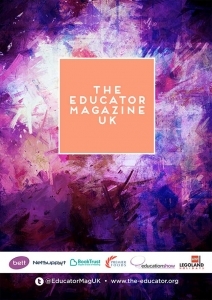 Continued pressure on funding has seen many schools prioritise spending on what British Thornton calls the ‘Ofsted essentials’ of desks, chairs and storage, while spending in categories such as play space, soft furnishing and general refurbishment, key elements in creating dynamic and inspirational learning and teaching environments, are largely being ignored. According to British Thornton, a major driver behind school spending decisions in recent years has been Ofsted. To maintain inspection results against ever-shrinking budgets, many are concentrating on areas that deliver direct pupil attainment improvements. This, at its most basic means simply ensuring there are enough tables and chairs for pupils to use – rather than considering any improvements to the wider learning environment. 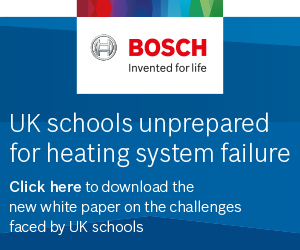 According to the Royal Institute of British Architects (Riba), only 5 per cent of 60,000 buildings in 18,000 schools in England are in top condition, performing as intended and operating efficiently. 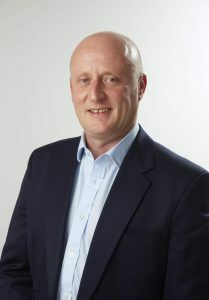 Gerard Toplass, chief executive officer of British Thornton, said: “The education marketplace has seen significant political interference over the last few years that has had a massive impact on both the structure and funding models for schools. “Budgets are being slashed and overall market uncertainty is having a hugely detrimental impact on the standards of education being delivered to students. “We must remember that the pupils themselves need to be the number one priority for the sake of this country’s future. Schools need to be able to focus on delivering a first class education and therefore improving standards, results and ultimately career and life prospects for pupils. Figures published by School Building in 2014 suggest almost a quarter (23 per cent) of councils in England rate the condition of buildings in their areas as “extremely poor” or “very poor”. And an overwhelming majority (90 per cent) of 500 teachers surveyed by ComRes for the report said good school buildings were crucial to improving children’s learning and behaviour. A raft of education market disruptors are currently at play that are influencing spending decisions in schools. The new school funding formula which is still under consultation means schools are holding back on making significant school strategy and procurement decisions until they receive their 2018/19 allocation. And although the Government has retracted its policy of forcing schools to convert to academies, DfE policy is expected to actively encourage conversion through changes to policy and funding. The added introduction of the ‘grammar school’ debate raises additional concerns, as does the push to create ‘free schools’, which many believe is draining funding from existing schools. Furthermore, higher employee pension contributions, raised National Insurance costs and the minimum wage add further pressures. As a result, teaching assistant time is being reduced in primary schools and subject and course coverage is being reviewed in secondary schools as another way to potentially cut costs. Even when bright pupils from low-income families out-perform their more advantaged peers at primary school, they are likely to be overtaken at the next stage of their education. Head teachers interviewed as part of the research said that lower funding was already putting pupil progress at risk and that the prospects for improvement were bleak despite the new funding formula proposed by the government. The Rt Hon Alan Milburn, Chair of the Social Mobility Commission, said: “One of the shocking features of our education system is that the gap between poor pupils and their better-off peers increases during their time in school rather than reducing. 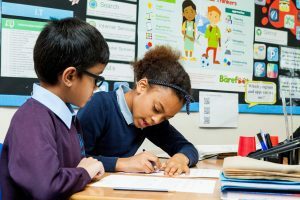 Lead author Bart Shaw, from education think tank LKMco, said: “Whilst we should be concerned about the high attaining pupils from low-incomes families who get overtaken at secondary school, it is at least as important to focus on low and middle attaining pupils from poorer backgrounds. Halt plans to increase selection to prevent further segregation of pupils from low-income backrounds. 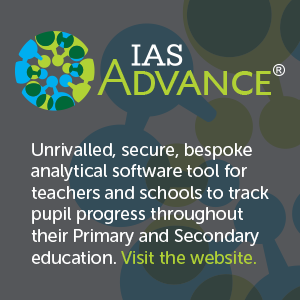 Schools should make regular use of data to analyse progress, in order to intervene as early as possible when pupils’ progress, especially those from low-economic backgrounds, stagnates or drops off. Shortlisted finalists announced by The e-Assessment Association. The e-Assessment Association launched the brand new awards programme to celebrate the use of technology to enhance assessment worldwide. Sheer number of award entries reflects the diversity and calibre of those within the e-assessment sector. 23 February: The e-Assessment Association today announced the shortlisted finalists for its inaugural awards programme, The e-Assessment Awards. The winners will be announced at the gala dinner on 22 March. The international e-Assessment Awards programme launched in October to highlight and celebrate the outstanding and positive contributions that technology makes to all forms of assessment, and will showcase the best practice, research and innovation in the sector. The Awards programme holds a unique position, as it encompasses all of education; from school, through further and higher education to workplace training and professional exams. Finalists were shortlisted by a highly experienced, international panel of experts. The winner of the Lifetime Contribution Award will be announced at the gala dinner on 22 March. 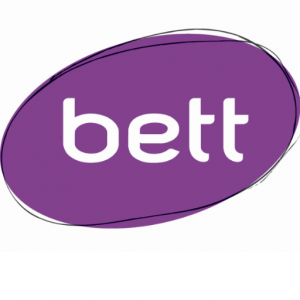 Bett, the leading global education event, took the international community by storm when it hosted its 33rd show at ExCeL London last month. 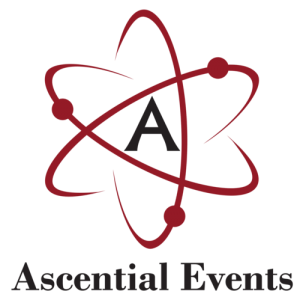 Part of the event’s appeal is the way it can be used as a platform for new and emerging companies to launch themselves into the global education marketplace. Bett Futures, a platform designed to nurture emerging edtech start-up companies, returned to the show following a successful launch in 2015 and impressive growth in 2016. This lively part of the show floor hosted more than 100 innovative start-ups this year, all looking to share their ideas, insights and solutions with educators from across the world. This year, the aim of Bett Futures was to showcase budding businesses that promise to be game changers in education; the initiative was run in association with the British Educational Suppliers Association (BESA) and the Times Educational Supplement (TES), along with other partners. Celebrating brave thinking, innovative pedagogy, new products and education game changers, Bett Futures 2017 presented a one-of-a-kind opportunity for emerging learning solutions to hit the ground running by inspiring attendees with practical ideas on how to improve their own educational practice. Now>press>play, the immersive audio resource that transports children to the world of their topic through story and sound, exhibited in the Bett Futures area. Tilly Smith said: “Bett Futures gave us a stepping stone into Bett, and it’s got a lovely community feel to it. People are able to talk to and guide each other, and being on an open floor gives a much freer atmosphere than being in a sectioned-off stand – we had space to run children through our educational experiences. Bett Futures will be returning at next year’s show, which will run from 24-27 January 2018. 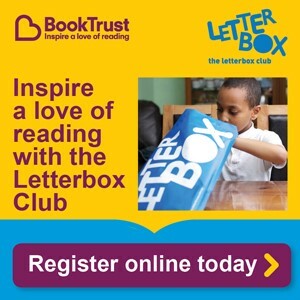 To register as an exhibitor, visit: hwww.bettshow.com/Content/Register-for-Bett-2018. More than one million primary school pupils across the UK have now been reached through an education programme run by BT and BCS, called the Barefoot Computing project. 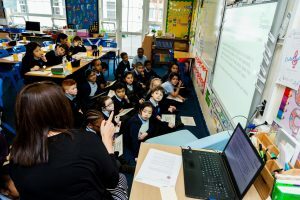 The news follows research by BT and Ipsos MORI revealing that nearly 80% of primary school teachers believe being tech literate is as important as reading and writing for children’s education and development. Despite this, three-quarters of teachers questioned said they don’t feel equipped to help educate primary school children in this key area of tech literacy and computing skills. Barefoot offers free teaching-resources and volunteer-led training workshops, designed to help primary school teachers get more confident when teaching computer science and computing skills. More than 130,000 resources have been downloaded with over 35,000 teachers using them since the launch in 2014. Research from Ipsos MORI and BT showed how important it is for the UK to step up its efforts on primary school tech literacy. Seventy-eight per cent of primary school teachers think tech literacy is as important as reading and writing. Seventy-five per cent strongly agreed it’s their job to prepare pupils for a digital world, but only 25 per cent strongly agreed they felt able to do that. Barefoot is designed to help address that need. Deansbrook Junior School in north-west London is one of thousands across the country to have benefited from the programme. There will also be a celebration event held at the BT Tower in London on Thursday, February 23rd. 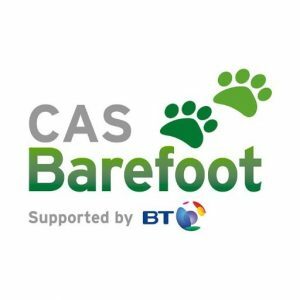 The event will see teachers and volunteers who have supported the project, coming together to share their experiences and explore how Barefoot could make an even greater impact in the future. Organisers of the world’s largest education show, has announced that, once again, Bett 2017 has surpassed all previous years. 35,000 people from the worldwide education community gathered at ExCeL London to be inspired and educated by the most innovative game changers within the sector. 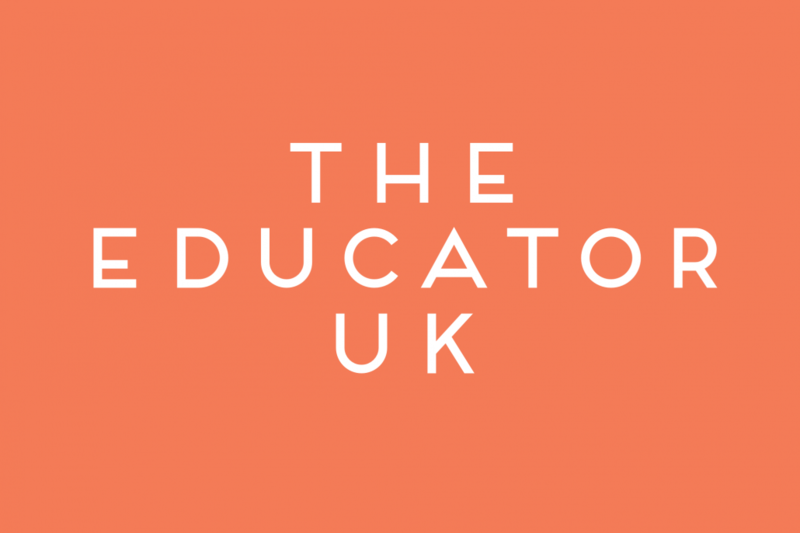 A mainstay in the educational calendar for over 30 years, the event’s growing popularity with international educators is a reflection of the United Kingdom’s commitment to innovation in education. Bett’s increasing global appeal was evident, as education professionals from countries across the world flocked to London to join the UK’s education community in attendance. Bett 2017 played host to some of the most effective, innovative new technologies in education, including those based on virtual and augmented reality. Once again, the Learn Live continuing professional development (CPD) theatres offered content ranging from talks by rousing motivational speakers to education practitioners sharing advice and insight from their daily practice. These sessions were delivered across four dedicated Learn Live Theatres which covered primary, secondary, further education (FE) and skills, and special education needs (SEN). Specialist summits for school leaders and higher education brought industry-leading practitioners together to network and share ideas, while a number of additional networking and fringe events – including the Microsoft Partner Village and Bett Futures, the area dedicated to game-changing start-ups – gave visitors access to an array of education solutions as well as business insight. The Bett Arena welcomed keynote speakers including education visionary, Sir Ken Robinson; celebrity chef, Heston Blumenthal, actor and historian, Sir Tony Robinson; and the vice president of worldwide education at Microsoft, Anthony Salcito. To see the highlights from Bett 2017, please visit www.bettshow.com or tweet about your visit @Bett_show using #Bett2017. Bett 2018 will take place between 24 and 27 January 2018. 16 February 2017 – Award-winning developer and investor, Kajima is pleased to announce the completion of all seven education facilities built across Hertfordshire, Luton and Reading, as part of a £135 million joint project undertaken by Kajima and partner Interserve Investments Ltd. The rebuild is part of the Government’s £4.4 billion Priority School Building Programme which is rebuilding or refurbishing those school buildings in the very worst condition across the country. The project has provided more than 8,000 pupils with seven new modern, purpose-built secondary schools, and created a further 900 additional places for 11-18 years old’s. This is one of five batches of schools to be funded using the Government’s PF2 private finance model and the 19th privately financed education project in which Kajima has invested. 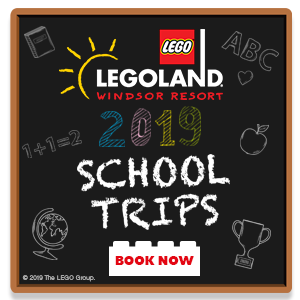 The seven schools on the project comprise of Kings Langley School, Bishop’s Hatfield Girls’ School in Hatfield, Goffs School in Cheshunt, Longdean School in Hemel Hempstead, Reading Girls’ School, Stopsley High School in Luton and Westfield Academy in Watford. Contracted to the Education Funding Agency (EFA), Kajima and Interserve began construction work in March 2015, assuming primary responsibility for design and construction, as well as hard facilities management and lifecycle services for the seven schools over a 25-year concession period. Kajima and Interserve have created modern, multi-purpose assets to satisfy educational demand and serve the local community for the years to come. The seven schools are characterised by innovative and modern designs that respond to numerous site constraints, whilst also meeting strict design quality and educational provision standards mandated by the Education Funding Agency (EFA) within tight budgetary controls. Design elements of Kings Langley School, which was completed in September 2016 were replicated in the further six schools within the project using a host of standard design principles to ensure that the building is both functional and flexible. Optimising passive environmental solutions, such as maximising the orientation of the building to enhance natural daylight and ventilation will ultimately lead to reduced operational running costs over the long term. Craig Smailes, Project Director of Kajima Partnerships, said: “We are delighted to announce the completion of the seven PSBP schools in what has been a difficult market. Kajima worked closely with the Principal Contractor to ensure the design and construction of each school correctly responded to the comprehensive facilities output specification and financial benchmarks required by the EFA. Learning outside the classroom equals improved academic results – why don’t more schools run residential trips? 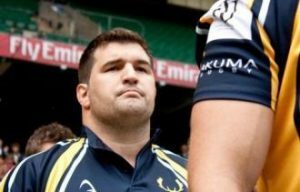 Sam Seward is Managing Director of Edwin Doran Sports Tours, an LOtC1 accredited provider of sports-based learning outside the classroom. 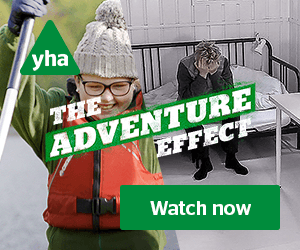 Schools take on average 2.7 residential trips a year, resulting in higher academic achievement – so why aren’t more schools taking up this option when such experiences yield such positive personal and academic outcomes he asks? Learning outside the classroom and the acquisition of character education skills such as grit, resilience and determination has been proven to impact positively on academic results. According to Ofsted, “when planned and implemented well, learning outside the classroom contributes significantly to raising standards and improving students’ personal, social and emotional development. Great life lessons can be learnt when students are taken out of their comfort zone and forced to address situations which they would not typically encounter. This helps them to be more adaptable, to gauge situations, become more intuitive and self aware. Strong lifelong friendships between team members also develop as they live together and help each other throughout the highs and lows of the competition. So why aren’t more schools running such trips when they yield such positive outcomes? The two main issues are cost and time. In terms of cost, payment plans spread across several months offer one solution to parents keen to balance their budgets. Pupil premium funding in the state sector and bursaries in the private sector can also be used by schools to part or wholly fund trips for students from disadvantaged backgrounds so ensuring that they get the same opportunities as their peers. Time taken can also prove an issue with trips, particularly those abroad, adding considerably to the workload of a teacher and the admin team. But help is now at hand as the first digital school trip management systems emerge onto the market helping teachers to dispense with the time-consuming task of preparing and mailing out numerous letters home and to personalise trips, upload photos, videos, itineraries and contingencies for extras such as meals and activities. 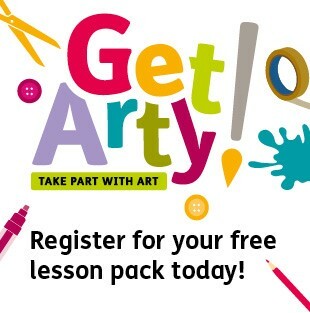 Parents can register their interest using a simple online form, upload their child’s dietary requirements and passport information, significantly reducing the time spent by the school administrator entering data. My first rugby tour to South Africa, aged 16, was a game changer for me. Plucked from my comfortable middle-class upbringing to spend 3 weeks far from my family in a pure ‘team environment’, I learnt self-reliance at the same time as a real sense of the importance of teamwork, respect and leadership. I was lucky enough to experience a home stay with a very traditional Afrikaner farming family near Kimberley, as well as being hosted by a poor black South African family on the Cape. I was exposed to hugely alien environments and values that have helped shape the way I am today. The impact was considerable – it made me more resilient, independent and mature. I became culturally aware with a sense of the world and where I stood within it. The life skills I acquired helped focus my attention on academic achievement when I returned to school, refreshed and keen to realise my ambitions. http://www.the-educator.org/wp-content/uploads/image1-3-1030x686.png 0 0 admin http://www.the-educator.org/wp-content/uploads/image1-3-1030x686.png admin2017-02-10 09:17:092017-02-10 09:17:09Learning outside the classroom equals improved academic results – why don’t more schools run residential trips? Almost half of students are using smartphones regularly to assist in their studies, according to a new report exploring the proliferation of technology in education. The report, from international awarding organisation YMCA Awards, also revealed that most (82%) students want access to a mix of both traditional offline resources and newer digital learning methods in their studies. Exploring technology-enhanced learning in health and fitness further education, the research featured in the report used a sample of 250 students enrolled on related courses and uncovered 78% of students use websites, 70% use online quizzes, 62% use online videos, while one in four use online games to support learning. In addition, the report found that six in ten learners value small, bite-sized learning content of around five to ten minutes and 59% want multimedia to be included in this – such as video, audio, illustrations. These findings come in light of news that smartphones, for the first time, have surpassed desktop computers for web browsing. 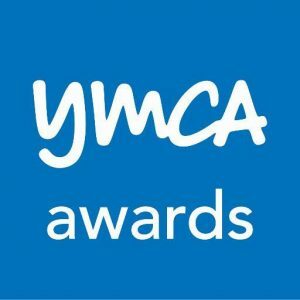 Indeed, three in five students in YMCA Awards’ study cited smartphones as the most used device in their daily lives, ahead of laptops and desktop computers. The organisation is now warning that training providers need to do more to incorporate mobile methods into teaching, if they haven’t already. “The rise in mobile technology is hard to deny and it goes far beyond communication, as it was first intended. How many of us use our smartphone devices to read the news? To manage our money through banking apps? Or even to shop? Naturally enough it comes as no surprise that this technology is finding its way into the education and training sphere.